Availing a loan used to be a hectic task some time back but advancement in living standards, easy credit facilities, easy EMI options and luxury living has made it easy. However, it has also made a burden named EMI a part of our lives. Bi-Monthly monetary policy: RBI pushes for affordable housing but will interest rates come down? How to reduce EMI: Availing a loan used to be a hectic task some time back but advancement in living standards, easy credit facilities, easy EMI options and luxury living has made it easy. However, it has also made a burden named EMI a part of our lives. A large number of people appear to be have been addicted to EMIs. They are taking huge loans for houses, cars, vacations and other luxury needs. 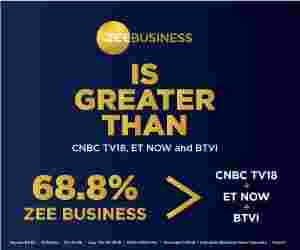 AD guru, Anisha Motwani told Zee Business TV, ''Today's generation has changed the philosophy of 'saving more and spending less'. Nowadays people are going for attractive offers, credit card loans because of the rat race of a luxurious lifestyle. They need to understand the importance of money and should learn ways to save more. India used to be the nation with the most savings, 30 per cent. But now India is slowly following other nations on the same path. " Easy EMIs and craving for a luxurious living make people fall for small credits to buy mobile phones, clothes, gadgets, medical emergency, loan to repay another loan, shopping and what not. Credit cards and alluring discounts/offers compel people to buy unwanted items. People should know that buying things you need is not bad until you are not paying more than your income. Commenting on trending lifestyle, Motwani said, "It is not good to copy other's lifestyle. One should try to remain limited to his/her own spending class, until and unless there is a fair amount of rise in income. Saving more, no credit card loans, cutting on those unwanted expensive dinner treats are some of the tips to reduce your EMIs." Harsh Roongta, a Certified Financial Planner, said, ''Not all loans are bad. A loan for a course that can raise your income in future cannot be considered bad. A loan for a house that reduces your rental cost or a car loan that reduces your transportation cost are not bad loans. But loans for consumer products, unwanted trips, luxurious lifestyle is never a good option. " One should always compare the interest and EMIs offered by various banks before availing a loan. A loan with higher interest rates can affect your life in the long term. Don't go for those attractive offers and EMIs until you need that loan to buy something very essential, the experts said. Saving is a good habit, try to save more. Make it a habit, you can start by cutting on the things that you don't' need. Make plans and do the necessary changes to your lifestyle. For example, you can cut on your junk food, vacations, expensive clothes and accessories etc. Investing is important. Make sure you learn to invest as it raises your income. Growth in income can make you financially independent and fit. Learn how to invest in mutual funds, fixed deposits, other government schemes. Investing not only helps you increase your income, but it also saves on taxes as well.